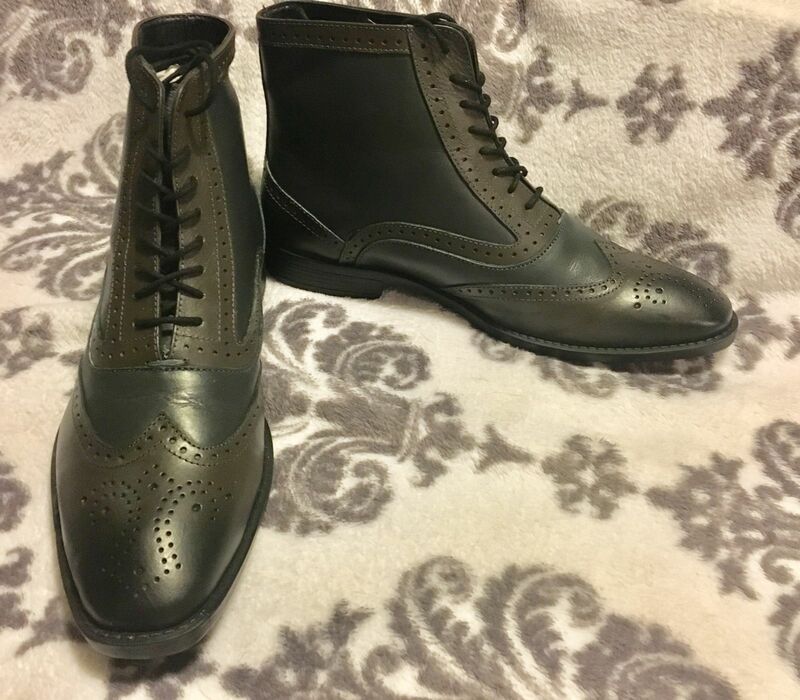 Oxford brogue boot featuring two tone leather colour. Quality leather upper with brogued winged toe cap detail, brogue channels to topline, facing and heel counter. PU lining and sock. Durable and anti slip TPR sole unit. Excellent quality leather, good design, well-stitched and robust soles. The quality of the boots is excellent, if anything they look better in person than they do on screen. The quality of the product is more than matched by the quality of the service, I could not believe how easy, and quick the whole process was. I have now bought six pairs of shoes and boots recently, and there will definitely be more. I will also be strongly recommending the products and company to my friends and family. An excellent quality boot for a price of less than £30! Great boots, very comfortable and excellent delivery. These boots are absolutely fantastic, very high quality leather and very comfortable and snug to wear. Had lots of great comments on how good they look, the pictures don’t do them justice! !